SINGAPORE/SEOUL/SHANGHAI (Feb 10): Asian currencies fell on Friday, as the dollar gained a lift after President Donald Trump vowed to announce a "phenomenal" tax plan, renewing hopes for the possibility of pro-growth U.S. fiscal policies. Losses for regional currencies were tempered by better-than-expected Chinese January trade data that pointed to an encouraging start for the world's second-largest economy and bodes well for others in Asia. The Chinese trade data came against a backdrop of positive risk sentiment and gains in regional equities, said a trader for a Malaysian bank in Kuala Lumpur. The South Korean won fell 0.4% to 1,150.03 per dollar, after slipping to 1,154.5 at one point, the won's weakest level since Feb 1. A near-term focus for the won is Friday's summit between Trump and Japanese Prime Minister Shinzo Abe, which could have a significant influence on Japan's yen, sending ripples to other Asian currencies such as the won. 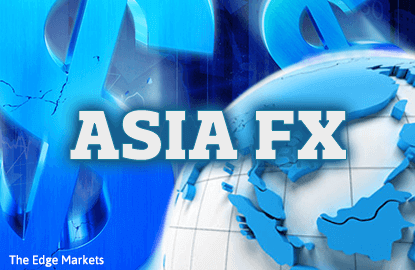 Most other Asian currencies also retreated, with the Malaysian ringgit slipping 0.2% against the greenback. The dollar gained a boost after Trump promised a "phenomenal" tax plan in a White House meeting with airline executives on Thursday, although he offered no specifics while citing the need to a lower tax burden on businesses. The White House said Trump plans to announce the most ambitious tax reform plan since the Reagan era in the next few weeks. The comments by Trump provided a catalyst for the dollar's rise and led to a pullback in Asian currencies, said Masashi Murata, currency strategist for Brown Brothers Harriman in Tokyo. "Still, Asian currencies seem to be pretty firm, even as U.S. bond yields have risen," Murata said. Such resilience in Asian currencies stems from positive economic fundamentals, underpinned by decent growth in developed economies such as the United States, Murata said, adding that China's economy also seemed to be doing alright for now. China's yuan weakened against the dollar on Friday, with news the Trump administration is stepping up efforts to improve U.S.-China relations, setting up a period of possible fresh catalysts for the currency market. Trump agreed to honour the United States' "One China" policy during a phone call with Chinese President Xi Jinping, the White House said late on Thursday. Washington's acknowledgement of China's position that it has sovereignty over self-ruled Taiwan, comes amid increasing tensions between the two nations, with Trump's threats, while campaigning to label China a currency manipulator keeping global markets on edge. On Friday, however, the yuan trades were relatively subdued, and there was no notable impact on the markets from the upbeat Chinese trade data either, traders said.